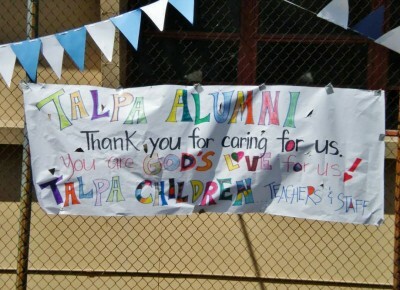 Home > News & Events > Save the Date for the 3rd Annual Talpa Alumni BBQ! Save the Date for the 3rd Annual Talpa Alumni BBQ! The Our Lady of Talpa School Alumni Association encourages Talpa Alumni to save the date for our 3rd annual BBQ celebration! Stay tuned throughout the coming months for more information and to order tickets! Have questions or want to help? Call (323-261-0583) or contact us via our website.